Bill Morgan had everything-or at least he did until, as chair of the board of Travis College of Medicine, he severed a seventy-year relationship between the College and its principle teaching hospital and touched off a blood feud between them. He and Dean Dan Maffit provoke a struggle with the hospital's board chair, Jimmie Rutherford, and its CEO and ex-Israeli operative, Sandy Wechsler, in which the two institutions vie for prestige and dominance and for the physicians who serve them. We follow Morgan's fate in the ensuing conflict as his ambitions bring him face to face with his inner demons and insecurities. In the wake of the turmoil the lives of physicians, administrators and board members spin out of control. 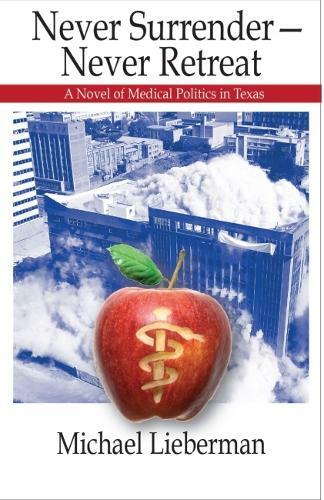 This novel of medical politics asks us to consider how not-for-profit institutions make decisions and how these decisions unmoor people's lives in unpredictable ways and run the risk of violating the public trust.